Essay questions are used when you need a longer explanation from a participant. Within an essay question you can put a minimum and maximum amount of characters you want the survey participant to input. 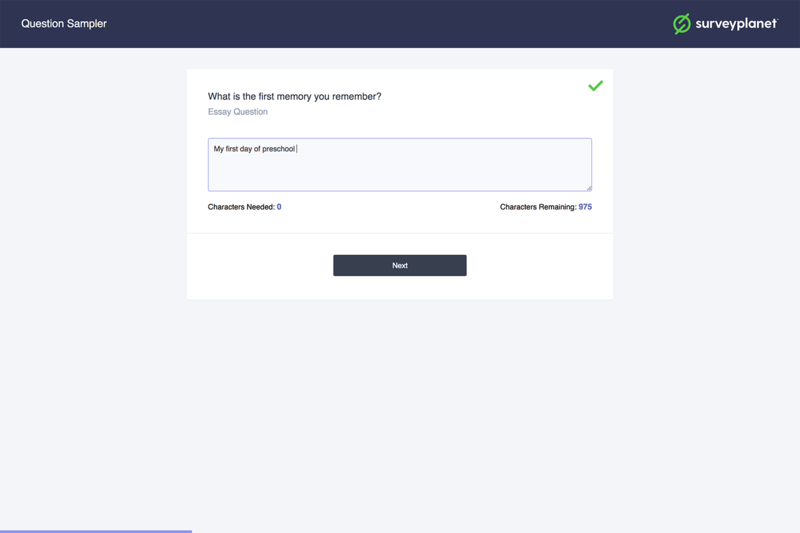 If you want to require that your survey participant enter at least a certain amount of text for their essay answer, then enter the minimum amount of characters in the Min Characters input field. If you want to limit the amount of text a participant can enter for their essay answer, enter the maximum amount of characters in the Max Characters input field.